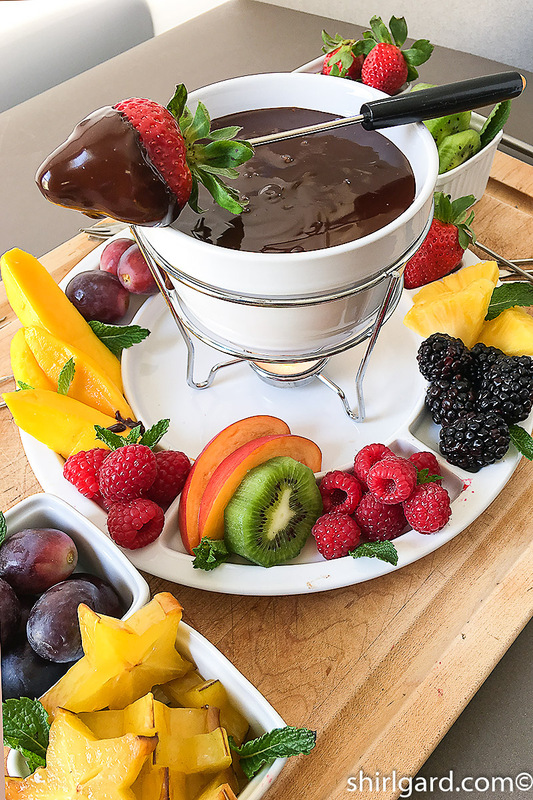 Chocolate Fondue is a fun dessert, as well as an easy-to-make dessert, where your family or friends can gather around the fondue pot and dip all kinds of goodies into warm melted chocolate and no one worries about the drips. 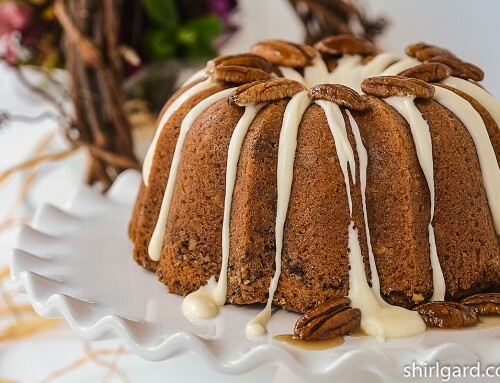 Or, it can be an intimate dessert for just two people. 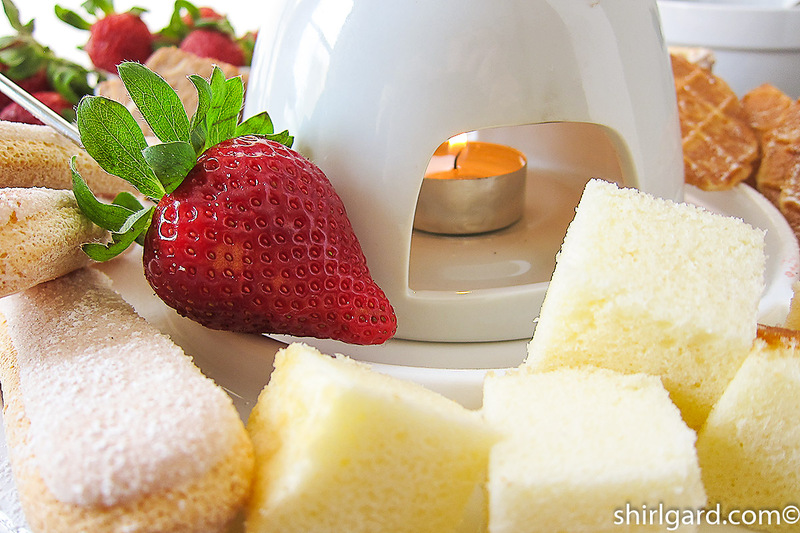 The goodies might start with fresh fruit and berries and then swing off into all different directions, depending on the whim of the cook, including pound cake cubes, cookies, biscotti, brownie bites, or marshmallows and graham crackers for a s’mores fondue feast. Then, if sometime you are craving something salty, try pretzels or potato chips. 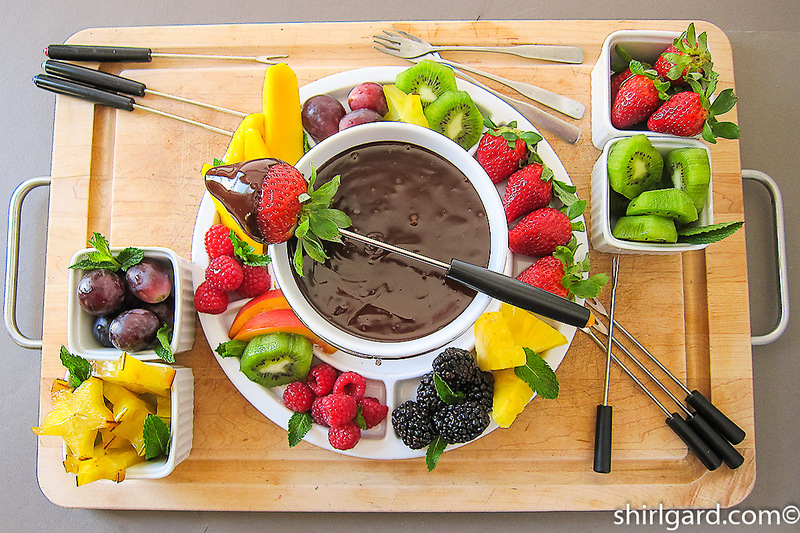 Besides eating it, arranging the things to dip in it is my other favorite thing about chocolate fondue; it’s a chance to really let my creative juices flow. 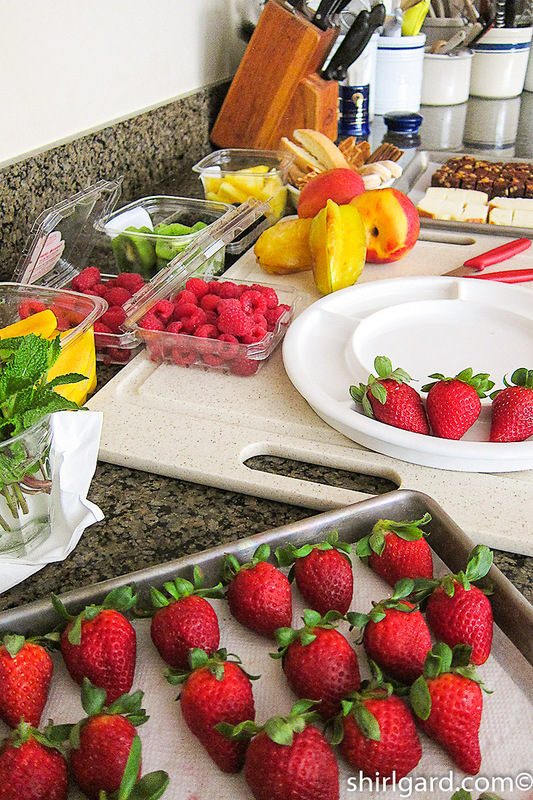 As you will see, you can be as elaborate or as simple as you like, depending on your mood, the number of people you are serving, and time available to prep. Honestly, this post doesn’t take a lot of words; it’s all visual. Take a look at some of my assortments for ideas, then create your own presentation. 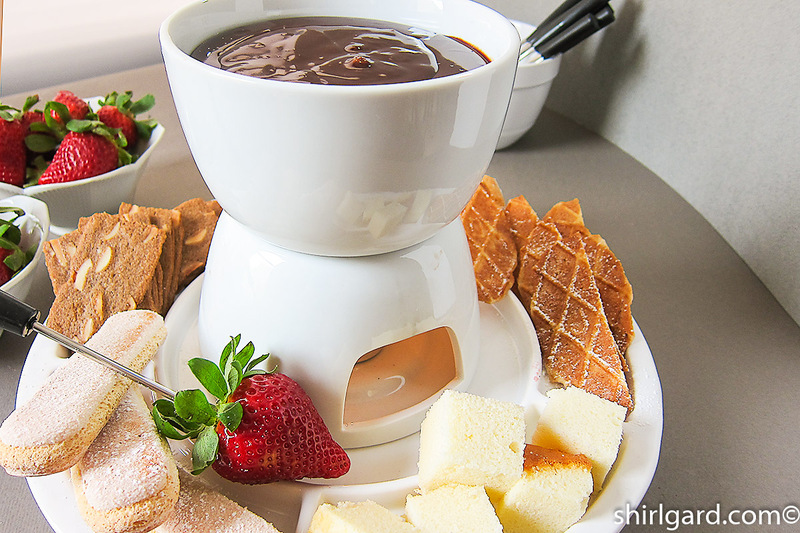 Mise en Place – Set up a station with everything you plan to use in your fondue presentation, including the fondue pot and forks. 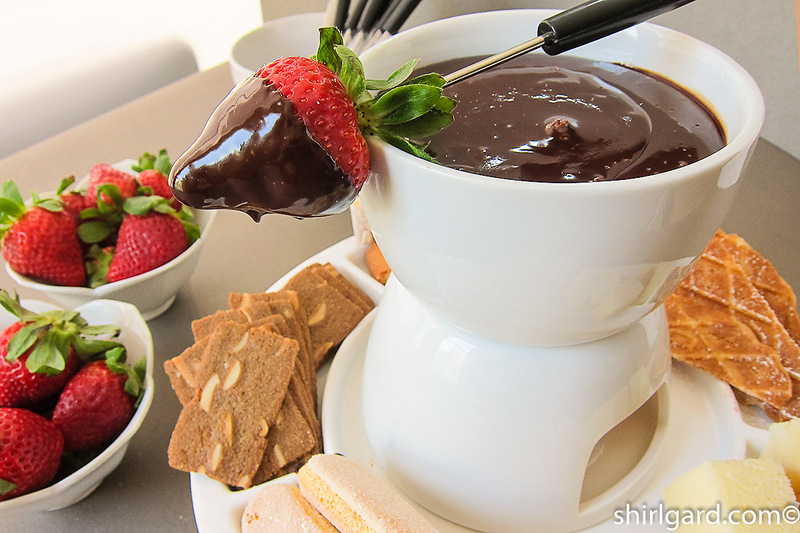 Plus, have a pan of already-made fondue warming on the stove, so it will be ready to pour into the fondue pot when everything else is ready. Look and see what I have on my station below, knowing that you can be as elaborate or as simple as you like. 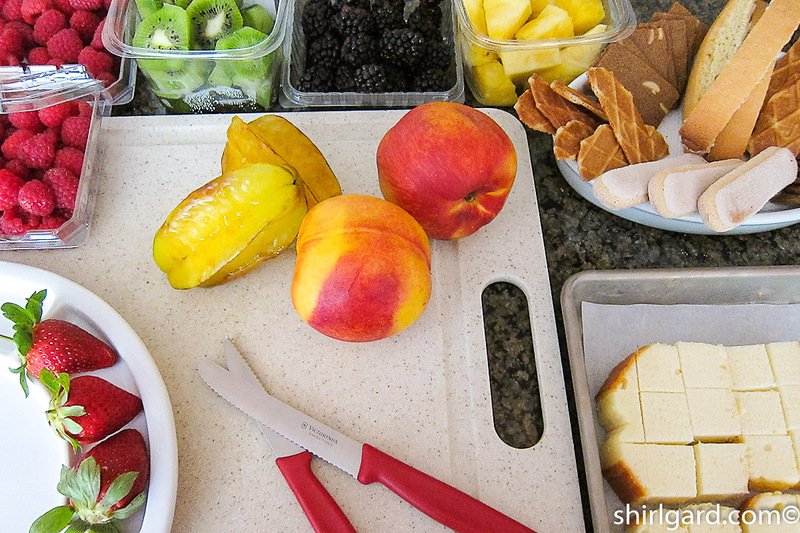 Strawberries, Raspberries, Blackberries, Mango, Kiwi, Pineapple, Nectarines, Star Fruit, Seedless Purple Grapes. 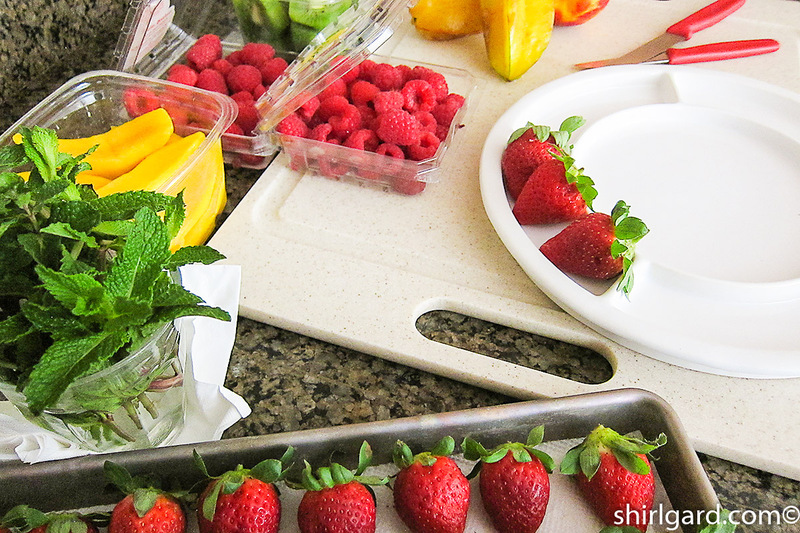 Plus fresh mint to garnish fruit presentation. 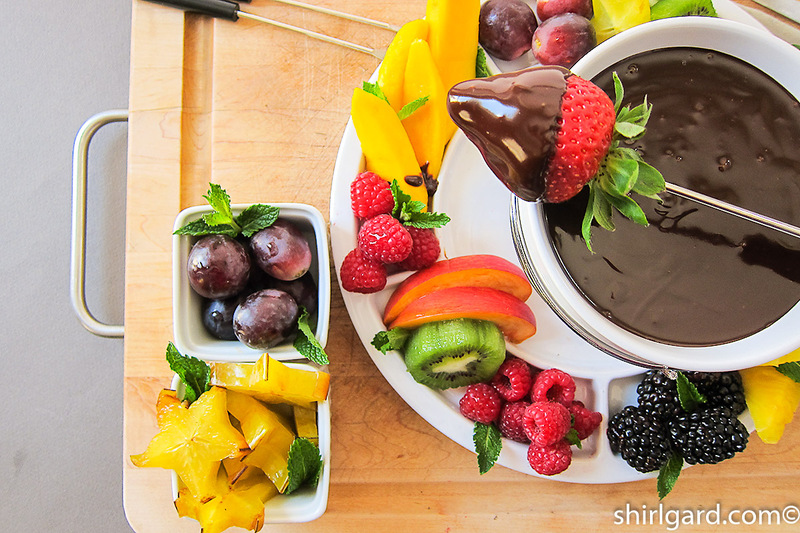 I really think about putting together a pretty color assortment as well as a selection of flavors that will be tasty with chocolate (which is almost anything). 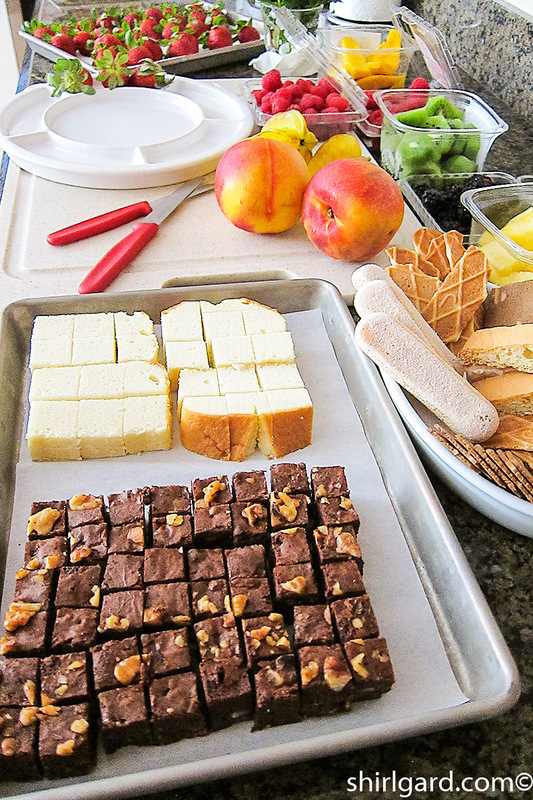 Brownie Bites, Pound Cake Cubes, Assortment of Store-Bought Cookies & Biscotti. Inverted Sugar: Trimoline–the professional brand that I like−only comes in 15 lb buckets, so I had to find a smaller container (different brand), which is an acceptable substitute. 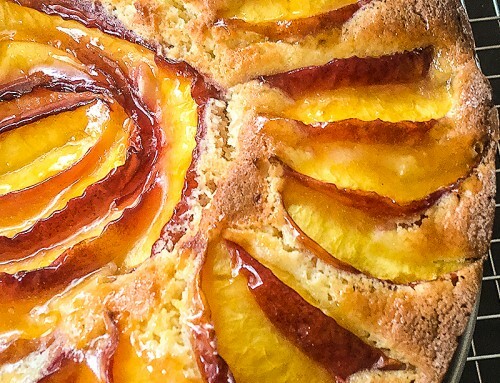 If you can’t get inverted sugar, use honey, which is a natural inverted sugar. Glucose syrup: A substitute for glucose syrup is Karo light corn syrup. Valrhona Equatorial 55% or Valrhona Caraque 56% Semisweet Chocolate: Substitute any other good quality semisweet chocolate such as Lindt, Ghiradelli, or Trader Joe’s; just make sure that the cacao % is in the 54-56% range. 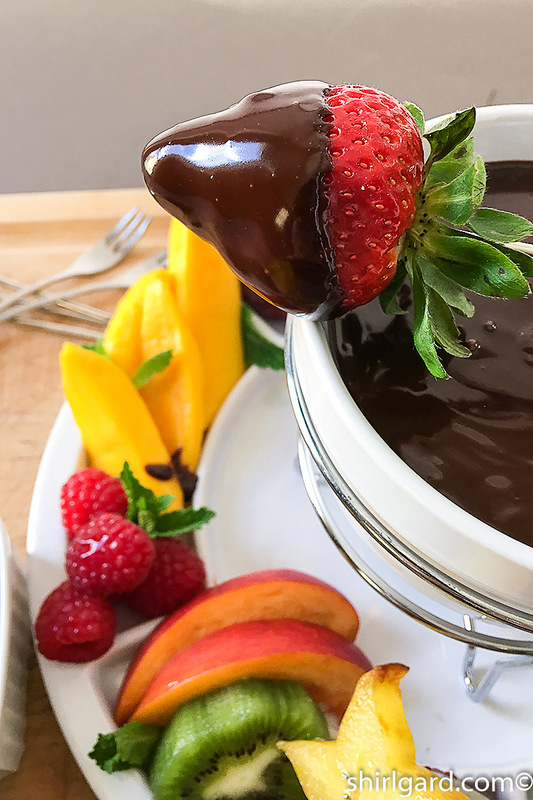 The preparation of this recipe is like making a ganache and was inspired by a Valrhona recipe that I got years ago at a professional demo that I attended. 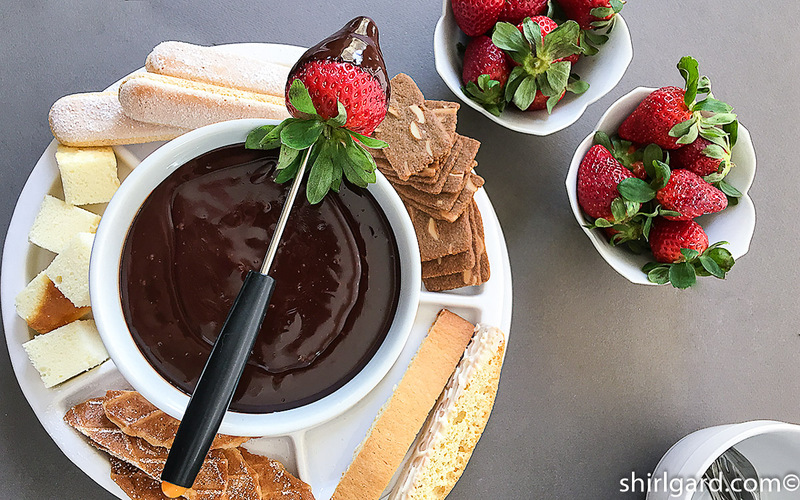 In fact, I've always called this recipe Valrhona Chocolate Fondue and used their semisweet chocolate, either Equatoriale 55% or Caraque 56% to make it. If you have access to Valrhona, definitely use it, but other semisweet chocolates work as well. 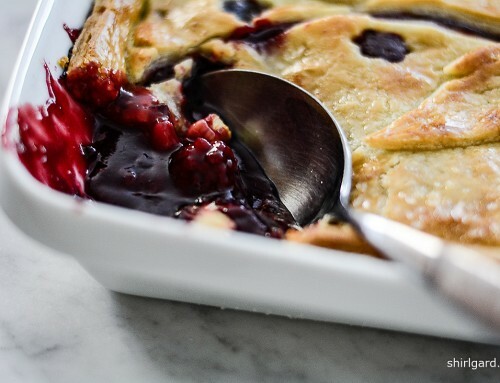 I've made this recipe many times, dating back to when I was pastry chef at Wheatleigh. 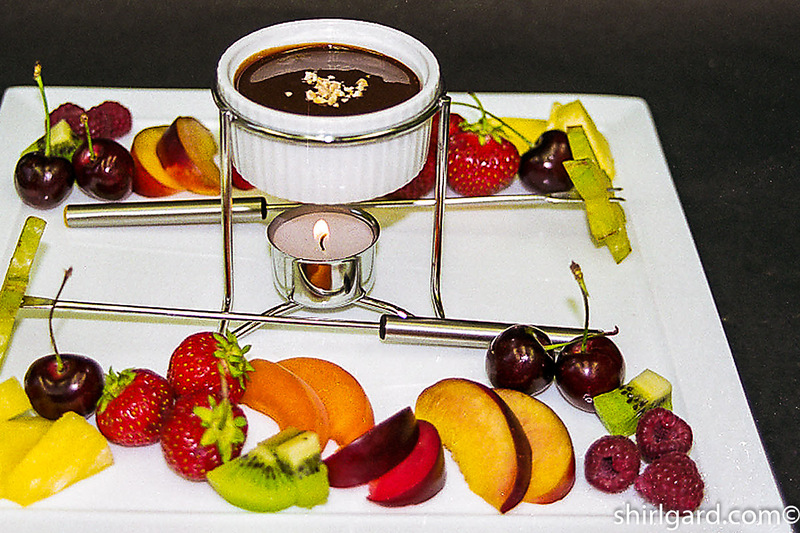 It is fun creating the fruit presentations to go with the fondue. You can have fun too; it's a chance to get very creative. 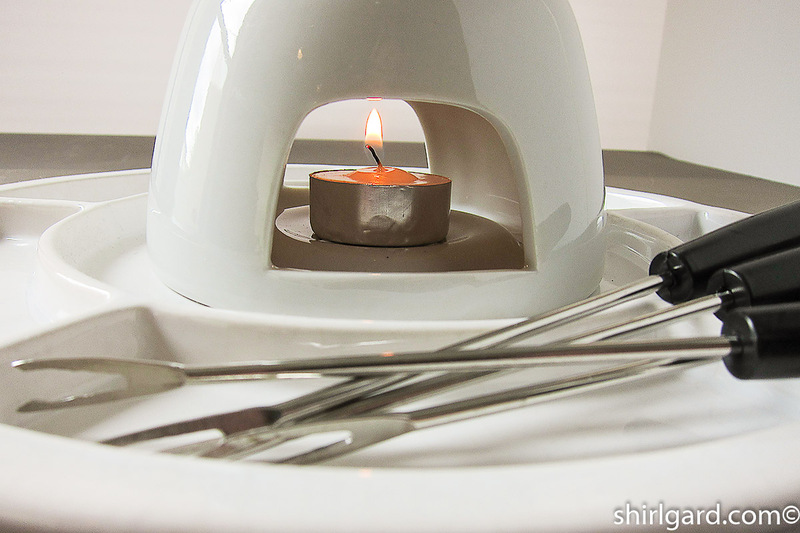 BRING first 5 ingredients just to a simmer in small saucepan. Do not boil or milk will curdle. 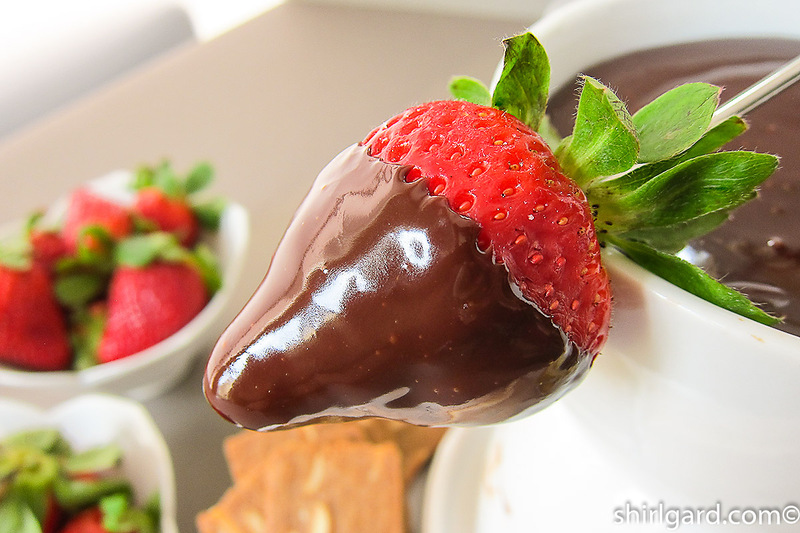 CHOP chocolates and place in mixing bowl. 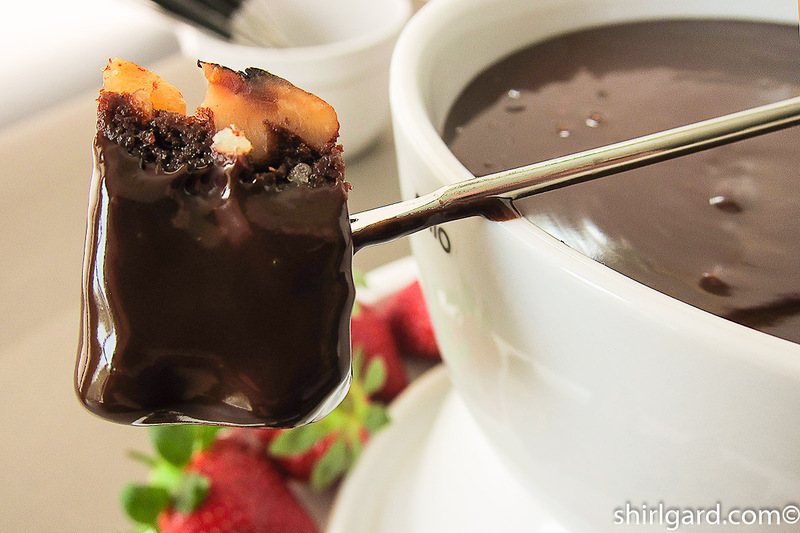 POUR hot cream mixture over the chocolate. Let sit 5 minutes without stirring. Note: if you are in a hurry, you can take a short-cut here and not use the classic "ganache method". 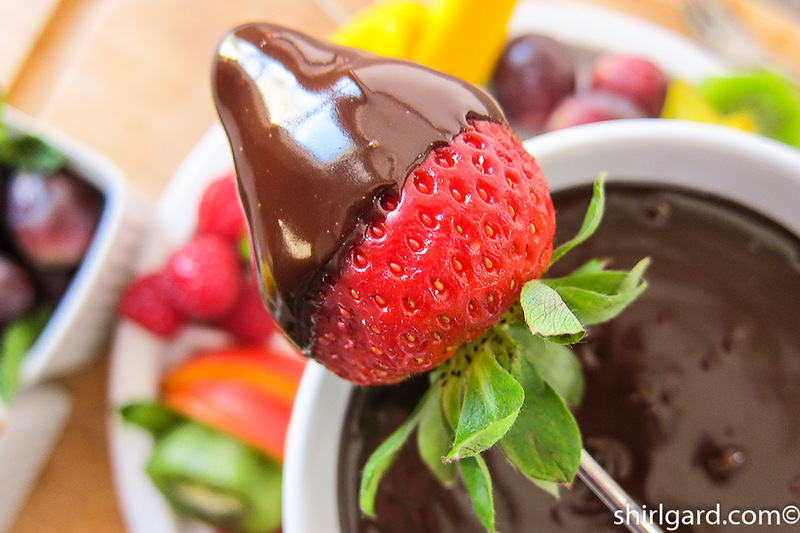 When the cream mixture comes to a simmer, just remove from the heat and throw the chopped chocolate into the pan and proceed from there. 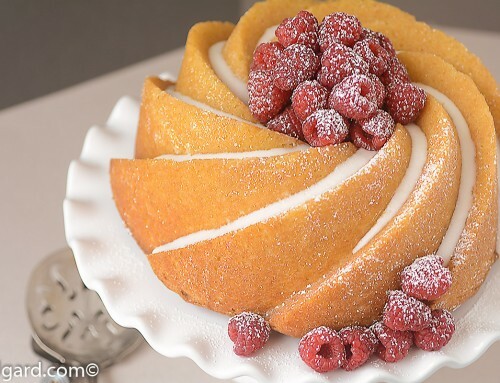 SWIRL mixture gently in a circular motion, using a rubber spatula, until smooth and all the cream is incorporated. 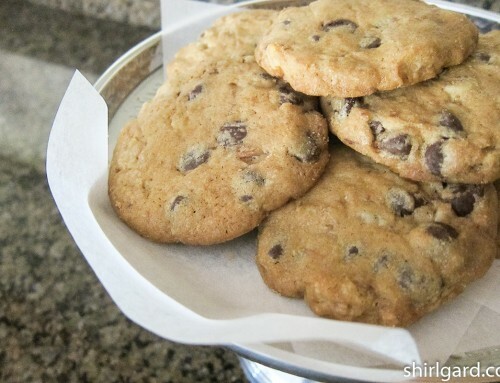 BLEND with a bar mixer a minute or so to smooth out even more, until completely homogenized. 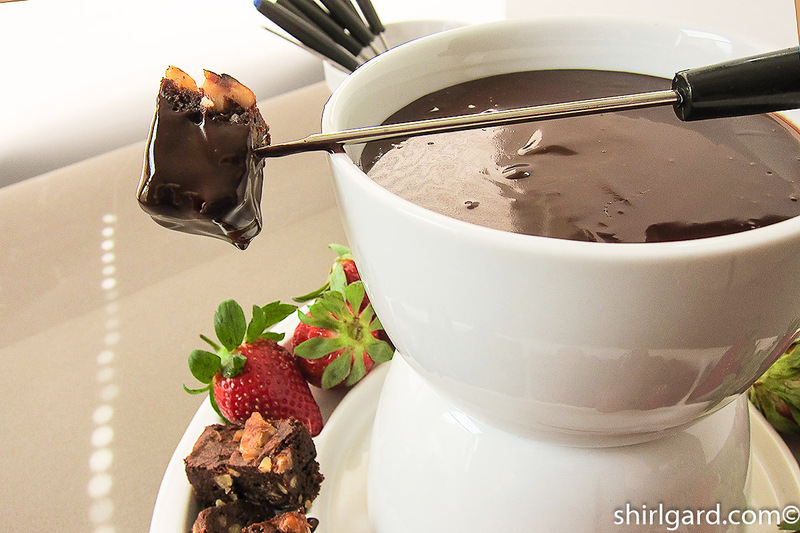 FONDUE should be very smooth and shiny with no lumps. 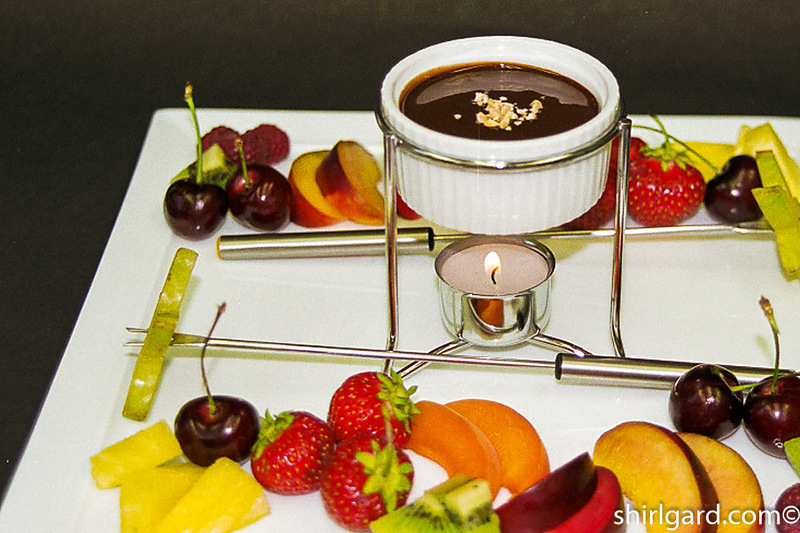 POUR into fondue container and place over a warmer for serving. 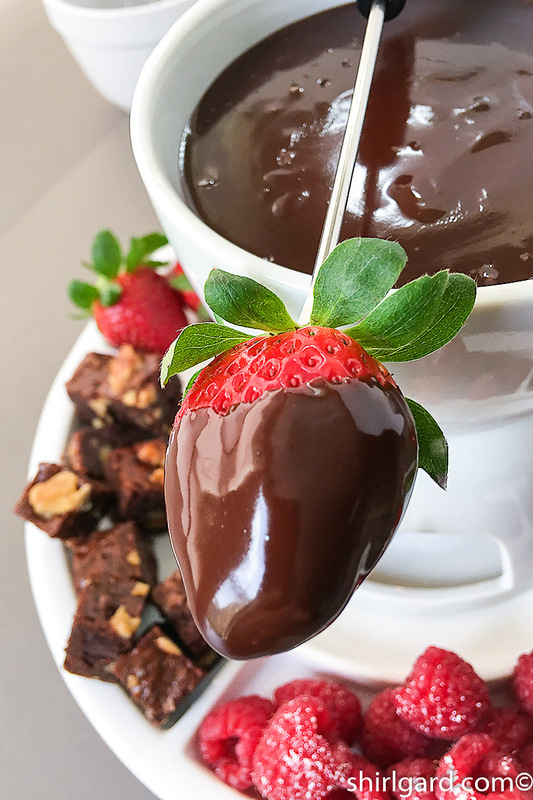 SERVE with an assortment of fresh fruit and berries, cubes of pound cake, brownie bites, small cookies, biscotti, marshmallows and graham crackers (s'mores fondue), or anything else you can think of that would be good dipped in warm chocolate. You can make your assortment as big as you like or you can keep it small and simple, depending on how many people you are serving. 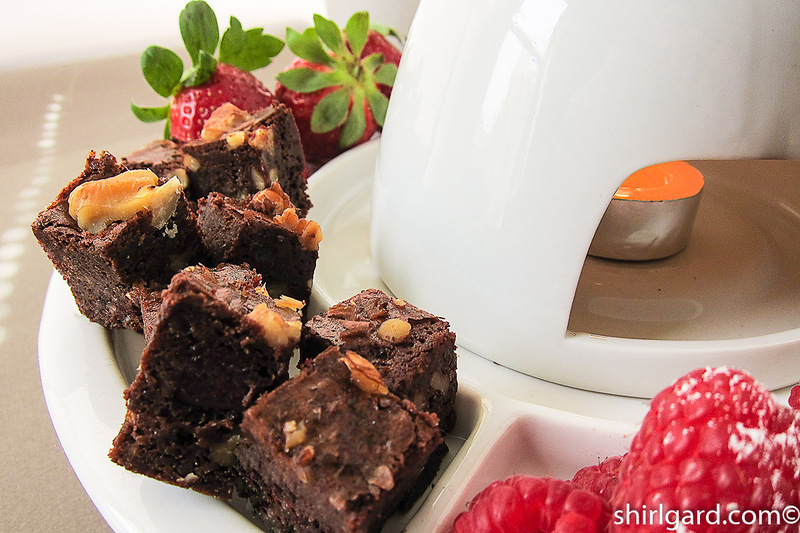 Small and simple could just be strawberries, brownie bites, and poundcake cubes or an assortment of store-bought cookies with strawberries. 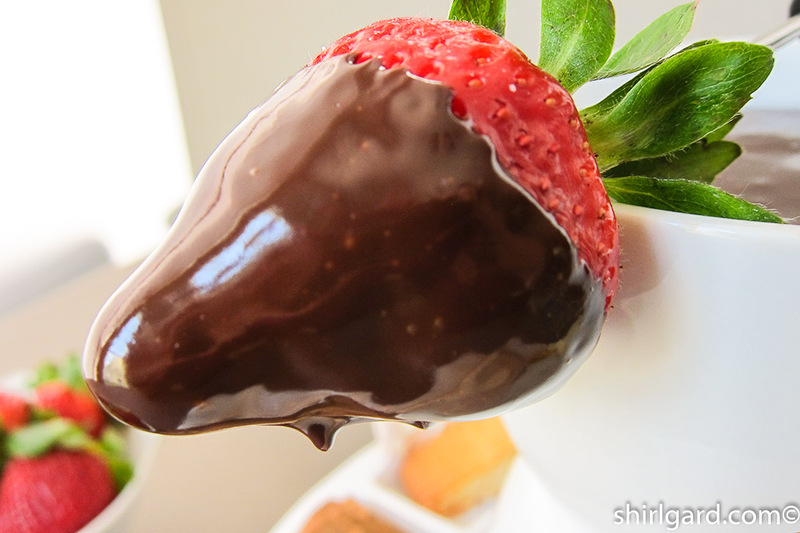 But.......whatever you serve, always include strawberries. 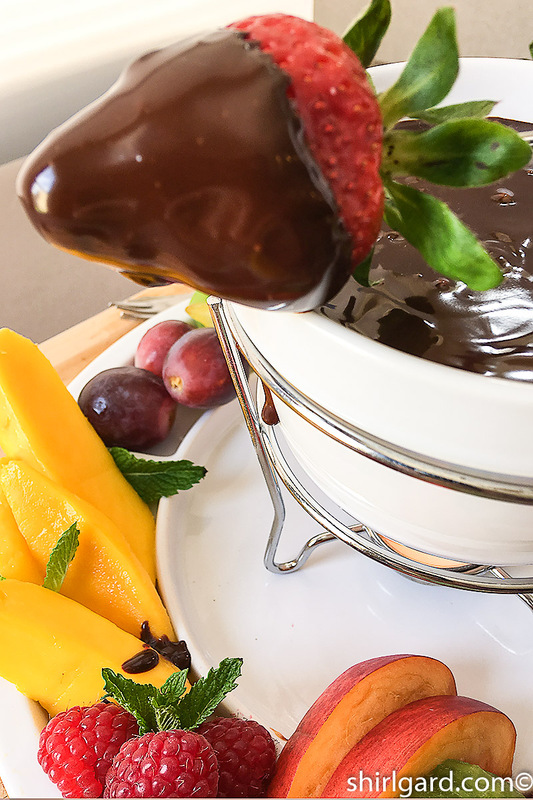 They are a classic accompaniment to chocolate fondue; besides that, they are delicious with the warm chocolate and add color to your assortment. 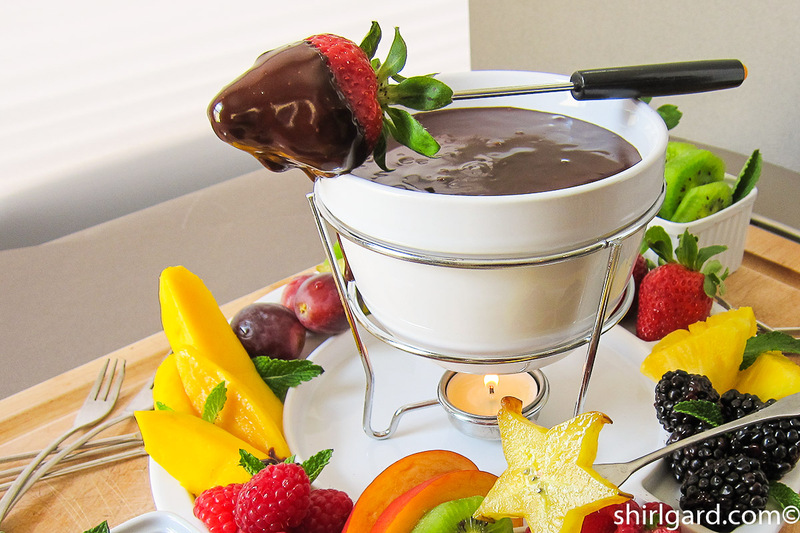 STORE left-over fondue in air-tight container in refrigerator for up to two weeks, or freeze for longer storage. 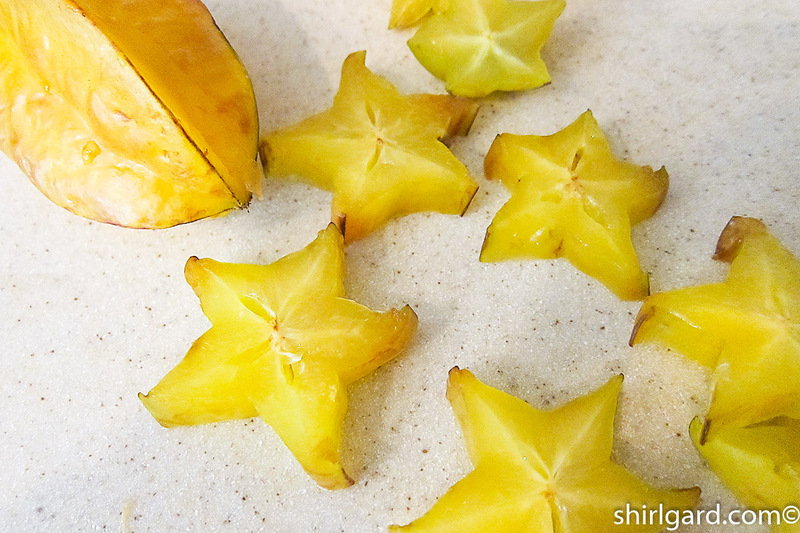 When ready to use, warm gently in a bowl over simmering (not boiling) water, stirring often, until smooth. 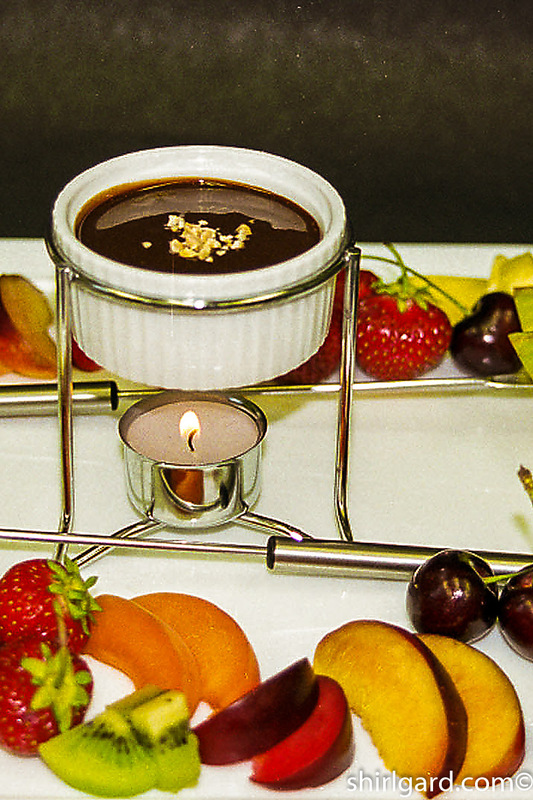 Adapted from a professional Valrhona chocolate recipe (2000).